Tax time isn’t just around the corner, it’s right now. And it’s not just a stressful time of the year because it’s tax time, it’s stressful because so many tax services out there charge you to file your federal taxes. Sure, they say it’s free, but only if you’re doing an EZ form or have an extremely simple return. To get more help you have to upgrade your account. But with taxes we’re all aiming to get money back, not spend more money. That’s where FreeTaxUSA comes in. What is FreeTaxUSA and what are its benefits? 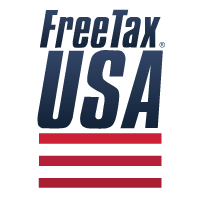 FreeTaxUSA is a free online tax service that is free for everyone to file federal taxes. While that alone is a major benefit of using this product, there are some other things to consider. First, you can use the free e-file system for filing your federal taxes and also submit your state taxes for a low cost. FreeTaxUSA also supports life changes and helps you make them apparent on your taxes. It will aid you in receiving all the deductions you deserve and it has an accuracy guarantee. That’s right, if their calculator screws up and you are assessed fines or interest, FreeTaxUSA will pay those penalties. The online service comes with free support including customer service when you need it, and they rely on SecurityMetrics, Verisign, and Truste to keep your information safe and secure. When you use FreeTaxUSA you also have the added benefit of their advanced money saving calculators. The calculation systems are always accurate and the instructions are easy to follow, so you don’t need to pay a CPA or an expensive tax returns company to fill out your paperwork and file your taxes. FreeTaxUSA is a great fit for almost anyone. It doesn’t matter whether you are filing an EZ form, 1040, 1040A, if you were self-employed, had multiple jobs, owned a home, went to school, got married, got divorced, or anything else that happens in life. FreeTaxUSA is free for everyone to use and you will never have to upgrade to the Deluxe Edition unless you want to upgrade. And speaking of the upgrade, if you decide to upgrade to the Deluxe Edition, you will receive the added benefit of free amended returns, priority customer support, and audit assist, just in case the IRS decides to audit you. The best part about the Deluxe Edition is that it is only $5.95 compared to other products out there that can be much more expensive. But you might get to try it for free—we’re giving away five codes for the Deluxe Edition (more on that in a minute). No matter which option you select, you will want to use FreeTaxUSA if you need online backup of your documents (and don’t want to pay to retrieve them after the end of the tax year!) and free print out options for your taxes at all times, which is not always available from other providers.